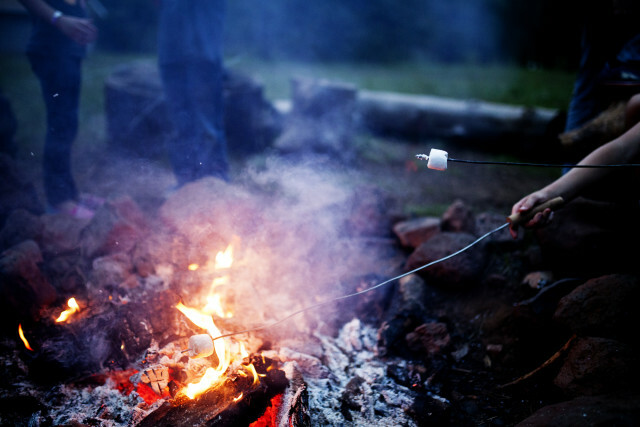 My best memories as a child are ones of camping with my family. I encourage you all to take as many opportunities as you can to get out and camp with your family! I realize, first hand, how different camping with kids is compared to camping without kids. Camping with children requires planning, patience and realistic expectations (and a cooler full of booze!!). Children thrive on routine, so if we can keep their daily sleep schedule and routine similar to the way it is at home, we are well on our way to a successful adventure. Pick a site that has a lot of shelter from the sun. You can’t control the temperature when sleeping in a tent so pick a place that will be sheltered by trees to block out the sun or make sure you are able to hang a tarp. Stay clear of sites near the entrance and exit as well as the washrooms as these sites will have a lot of traffic. Whether camping in a tent or a trailer, you want to give Baby his own sleeping space. Pack and plays works great and give Baby a safe sleeping area. Some tents have separate rooms, take advantage of that space and set your child’s Pack and Play up in the extra room. If in a trailer, you want the pack and play to be some distance from where you will be sleeping. If that’s not possible, I recommend inserting some sort of visual barrier between your sleeping space and your child’s to help prevent you child from waking up, looking around and seeing Mom and Dad laying within arms reach as they will have a harder time falling back asleep when they know you are right there. 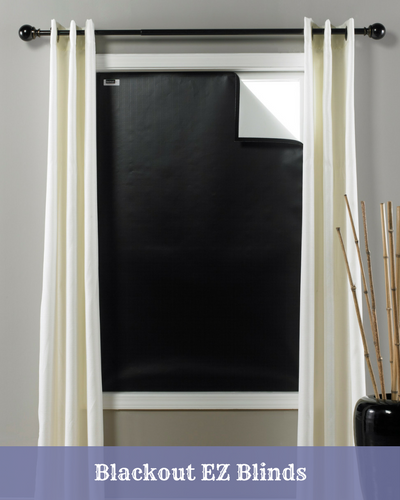 I suggest tacking a black sheet across 2 walls to act as a temporary wall. You want to avoid as much distraction as you can. It’s important to create the same sleeping environment camping that exists at home. 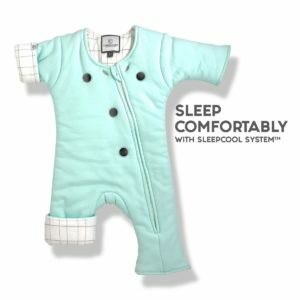 If your child sleeps in a sleep sack at home, make sure you bring it with you. Same goes if your child uses a lovey or a special teddy bear at home- be sure to pack it along! White noise is super important! The birds and squirrels love to announce morning much earlier than you want your little to wake up. White noise also helps block out the sound of people around the camp fire. 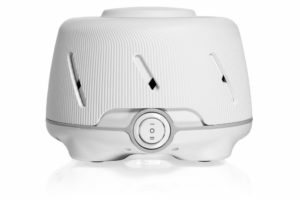 This portable white noise machine is my favorite white noise product. It runs on batteries and power so if the generator dies, the batteries will take over and Baby won’t notice a thing! This machine has been a life saver numerous times with my girls when camping! Make sure to ALWAYS make time for the bedtime routine! This is important! Feel free to slow down the routine and make it a little longer to give them a few minutes to relax before it’s time for sleep. Books read around the campfire have the same effect as books read bedside! 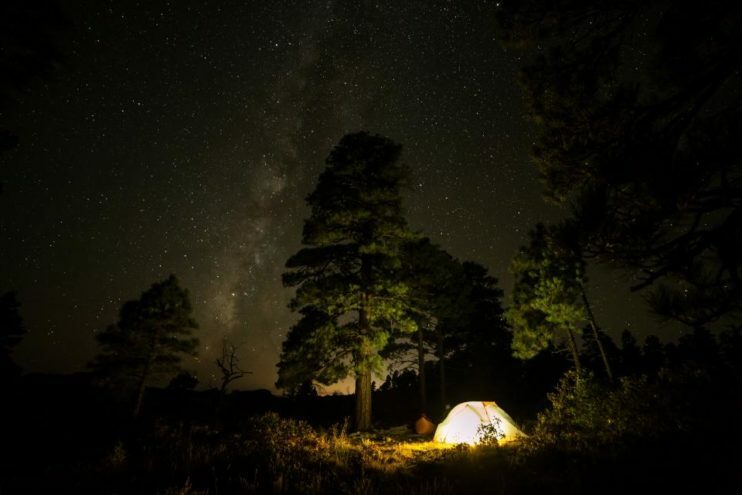 There’s bound to be early mornings, short naps and perhaps some bedtime battles so always lean toward the earlier bedtime when camping. All the sunshine, playing, and fresh air will make for an EXHAUSTED child at the end of the day! In conclusion, it’s important to have realistic expectations. The entire object of camping is to get outside and enjoy the outdoors. Understand that sleep won’t be as restorative as it is when at home, but if your child is normally a good sleeper, they will adjust much faster than you think! Lindsey Hennigar is founder of The Sleep Ranch and a Certified Infant and Child Sleep Consultant through the Family Sleep Institute. She helps exhausted parents and families get the healthy, restorative sleep they need. Your child can LOVE sleep!.